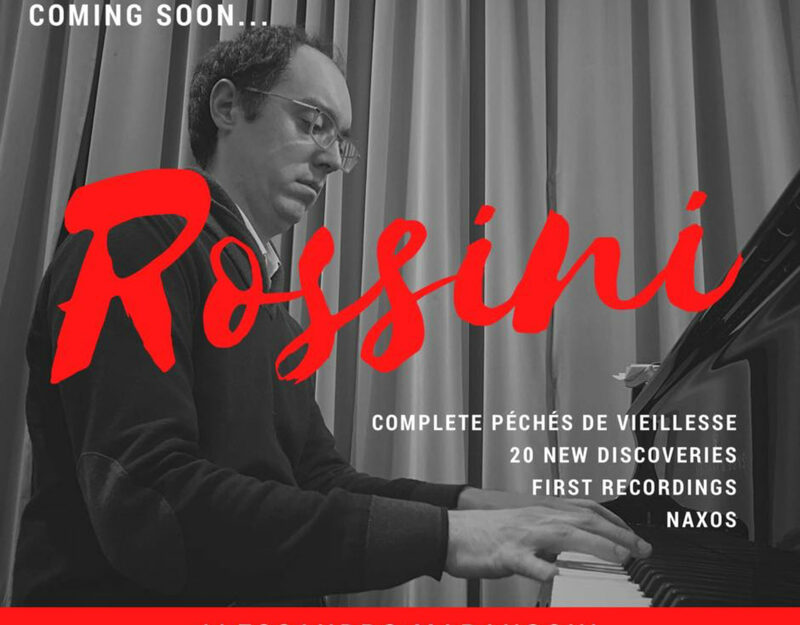 This collection comprised of 21 first recordings marks a milestone in Rossini discography. The first of the new recordings will be presented in April. The pianist will also present them at the Casa Rossini in Pesaro. We will eventually bring reviews here for the American Rossini Society.